The American College of Greece | ACG sends a grand shout-out to USAID/ASHA for over a half-century of support. Home » Why Give » Gifts of Note » ACG sends a grand shout-out to USAID/ASHA for over a half-century of support. ACG sends a grand shout-out to USAID/ASHA for over a half-century of support. 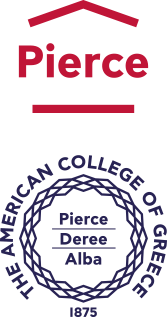 One of The American College of Greece’s chief donors is recognized for its historically generous contributions in making Pierce, Deree and Alba collectively a premier institution in Southeastern Europe. The American Schools and Hospitals Abroad (ASHA) program of the U.S. Agency for International Development (USAID) has for fifty-six years continued to provide assistance for the educational facilities and cutting-edge technology available to students of ACG. Of considerable note is the recent Library Renovation Program at ACG, funded by USAID/ASHA to the amount of $750,000. It currently is in implementation and is projected to be fully actualized this year in the spring of 2019. 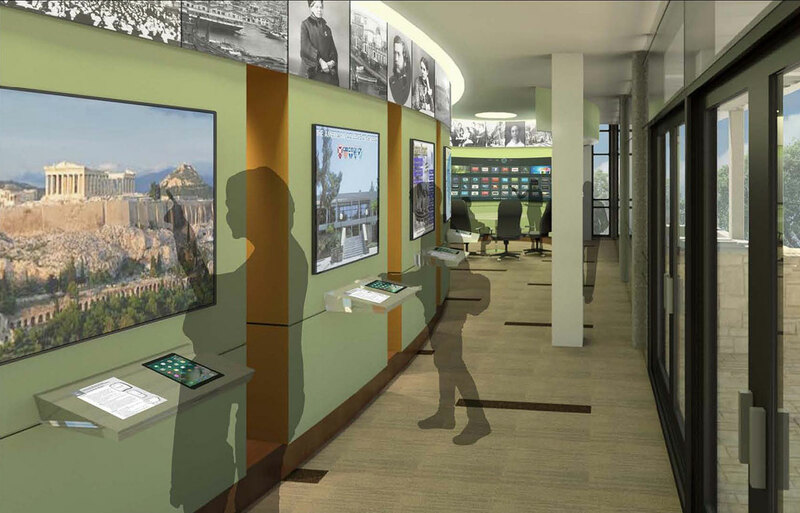 Additions and improvements to the ACG library facilities will include: a broader public event space, high-tech enhanced study rooms, a café, a college history museum, and wider digital collections of resources, available to students and faculty on a check-out basis. When complete, the overall library renovation project will provide more secure utilization of ACG textual and digital collections by students, faculty, alumni and staff. A greater civic engagement with the community is planned, together with electronic networking capabilities which are an integral part of the scope of the project. Also of note has been the USAID/ASHA funded high-tech enhancement to the campus in the form of a Simulated Trading Room (STR). This instillation, in operation since 2017, provides stock market floor environment, complete with the hardware and software to provide a working, sophisticated stock exchange facility. This $300,000 gift, in combination with an anonymous donation, is comprised of state of the art terminal stations and a main, wall-sized trading room board. The center serves to fully navigate and observe international stock exchange activities daily and in real time. This virtual trading room floor would be a rare addition to any institution of learning and actually is the only one of its kind in Southeast Europe. The STR provides to ACG a special research advantage to students and faculty studying the field of commerce and wishing to observe authentic market trends. The trading room is certainly as a training tool, but it also serves Deree College students as a real-life hub of the world’s business activities, providing entrepreneurial and live market information. Together, the two generous gifts to ACG by USAID/ASHA comprise the largest donation to the institution in thirty-four years. Other past acquisitions provided by this American funding institution have consisted of equipment and services used by the total ACG community. These have included buildings, library books, and multimedia tools in the form of PCs and TV Broadcast studio equipment. In addition to the full range of software, hardware and computer enhancements, the past years have seen the addition of sophisticated classroom science labs at ACG’s Pierce secondary school. These complete classrooms lend hands-on experimental learning facilities to those students entering the fields of the physical sciences. From the faithful and generous efforts of USAID/ASHA, The American College of Greece is continuing to maintain its cherished position as the finest tertiary institution of learning in the entire Balkans region.